The aim of Alcohol Awareness Week is to get people thinking about alcohol and how it affects us as individuals, families, communities and society as a whole. Did you know that alcohol is linked to over 60 medical conditions? Harms from alcohol go much further than the liver; it can cause high blood pressure and is also linked to diabetes, cancer and depression. More than 90% of people in the UK drink alcohol. Despite this, most of us don’t actually know the recommended amount we should drink in a week to lower the risks associated with alcohol. As of 2016, the UK Chief Medical Officer advises that both men and women drink 14 units of alcohol spread across the week. But what is a unit of alcohol and how many are in our favourite alcoholic drinks? A unit of alcohol is a measure of the alcoholic content in a given drink in terms of the amount of pure alcohol it contains – one unit equates to 10ml of pure alcohol. 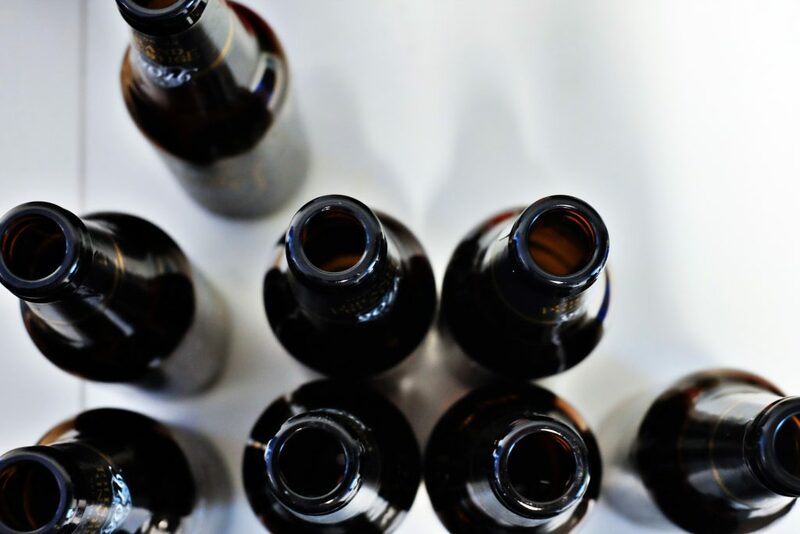 However, the same quantity of different alcoholic drinks may vary in the amount of pure alcohol they contain and will, therefore, have a different number of units. DrinkAware have designed an easy to use ‘Unit and Calorie Counter’ so you can calculate how many units your favourite alcoholic tipple contains. For instance, one pint of beer or one (175ml) glass of wine contains 2.3 units of alcohol. Whereas, 1 shot of spirits like vodka or whiskey contains 1 unit of alcohol. Therefore 14 units of alcohol amount to six pints of beer or six glasses of wine or 14 shots of spirits. Many of us probably don’t follow these guidelines every week and the charity Alcohol Concern estimates that 7% of the population regularly exceed this guideline. However, drinking alcohol to excess on a regular basis can have negative consequences that not everyone may be aware of when they’re embarking on a potentially heavy night out. Although, after the first few drinks you may start to feel a buzz and lowering of inhibition, once you have more alcohol in your system you may start to edge towards feelings of depression, anxiety or anger. Alcohol can interfere with the chemistry of our brain by reducing the amount of a neurotransmitter called serotonin which works to help regulate our mood. Less serotonin in the brain makes us vulnerable to experiencing low mood making alcohol a depressant. Furthermore, a study published in addiction suggests that people who abuse alcohol are significantly more likely to develop depression than someone who doesn’t abuse alcohol. One of the reasons behind this may be the cycle of depression excessive use of alcohol can create. Some people use alcohol to relieve feelings of depression, however persistent heavy alcohol drinking can trigger financial or relationship problems that can make the original feelings of depression worse. A group of people that put themselves at considerable risk of experiencing the negative consequences of alcohol are university students. University provides the opportunity to be free from the watchful eyes of protective parents. This, combined with being in a drinking environment characterised by pre-drinks and drinking games before even setting off on your night out can encourage drinking more than you should. In fact, the Huffington Post reports that students spend more than six hours drinking on an average night out which amounts to an incredible 93 alcohol-filled days of a three-year degree. Resetting your tolerance – Your body builds up a tolerance for alcohol depending on how much you drink. The more alcohol you drink the higher your tolerance for alcohol will be so you’ll have to drink more to feel its effects. By making an effort to drink less than usual, it won’t be long until you reduce your alcohol tolerance so you’re still able to feel the effects whilst promoting safer drinking habits. Have a lower strength drink or make it a smaller one – Swap your double measures of spirits for singles or choose a bottle of beer rather than a pint. These small changes mean you don’t have to change your lifestyle completely in order to drink alcohol more sensibly. It’s also another way to help reset your tolerance. Make a plan of how much you want to drink – Decide how much you’re going to drink before going out and you’re more likely to drink a reasonable amount. To help keep to this plan only take out a fixed amount of money and don’t make the fateful mistake of taking your credit card out with you. Your body and your bank account will thank you in the morning! Being aware of how much we’re drinking can help reduce careless drinking and the risk of experiencing negative effects caused by alcohol. By trying to take these simple steps, we can reduce our alcohol consumption to a safer level that is within the recommended guidelines. Aimee is studying psychology and is on a placement year with NCMH.